Today I wanted to show you my pretty new dress which I received courtesy of OASAP. 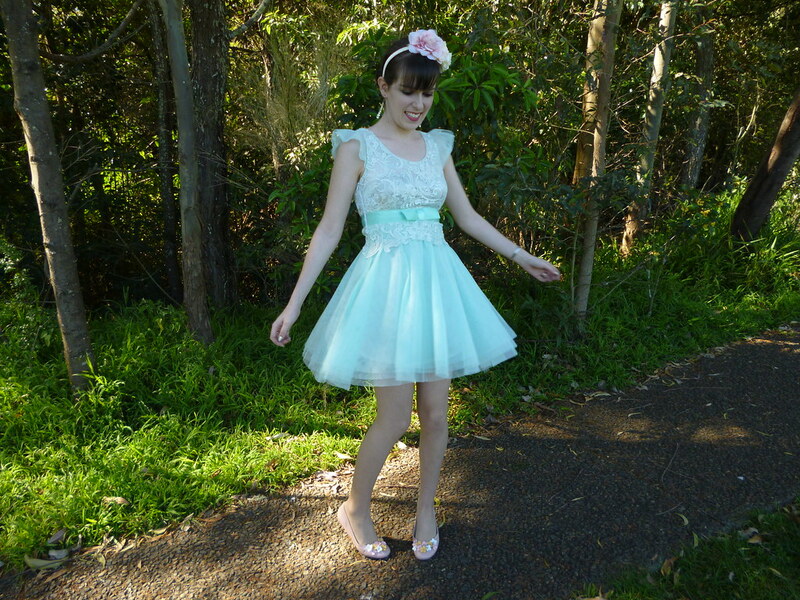 I adore the style of this dress; I’m sure it’s rather obvious from my blog that I’m quite partial to beautiful dresses with bows and lace overlays. 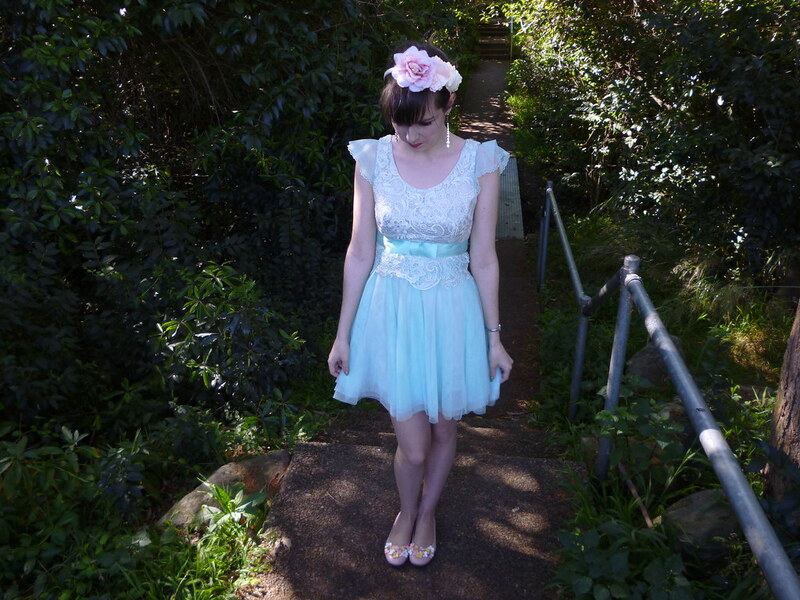 It is extremely pretty, romantic, exquisite and girly; everything I’d look for in a dress. 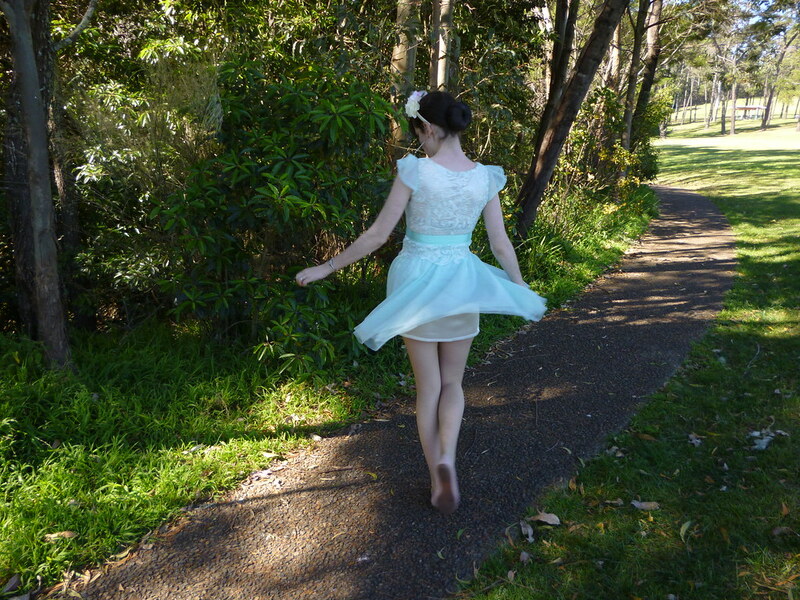 I love the mint and white colour combination; I believe it provides an excellent basis to style this dress with other pastel colours which is what I did with my headband and flats. 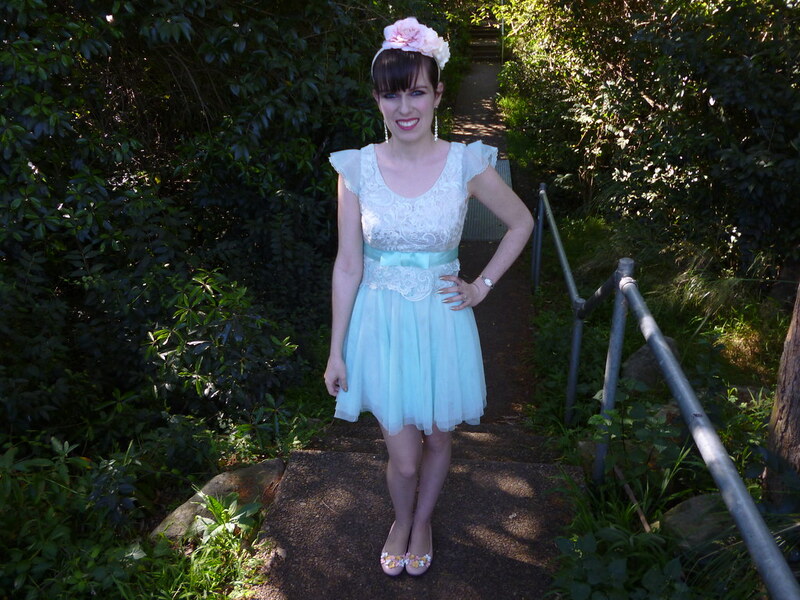 In my opinion, this dress was just asking to be paired with a statement floral headband. 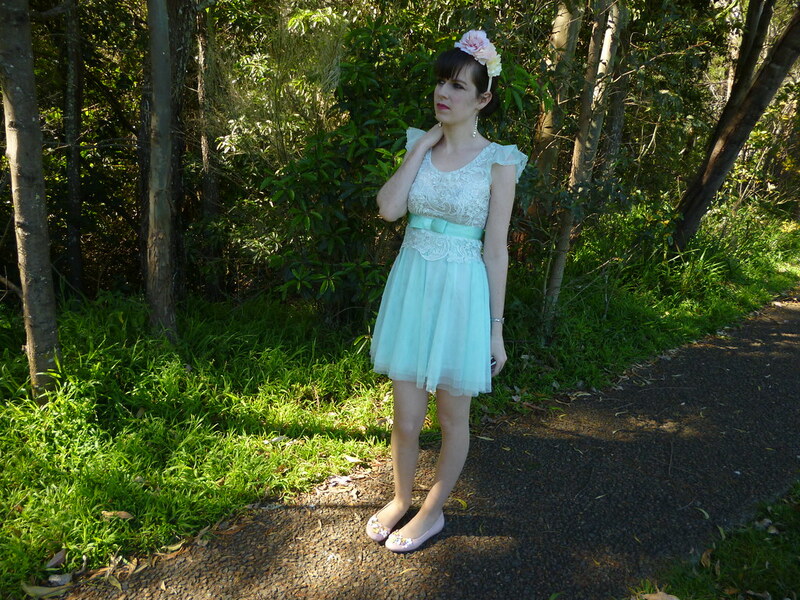 As you can see, the outfit I wore in my last post inspired me to wear more flower crowns. 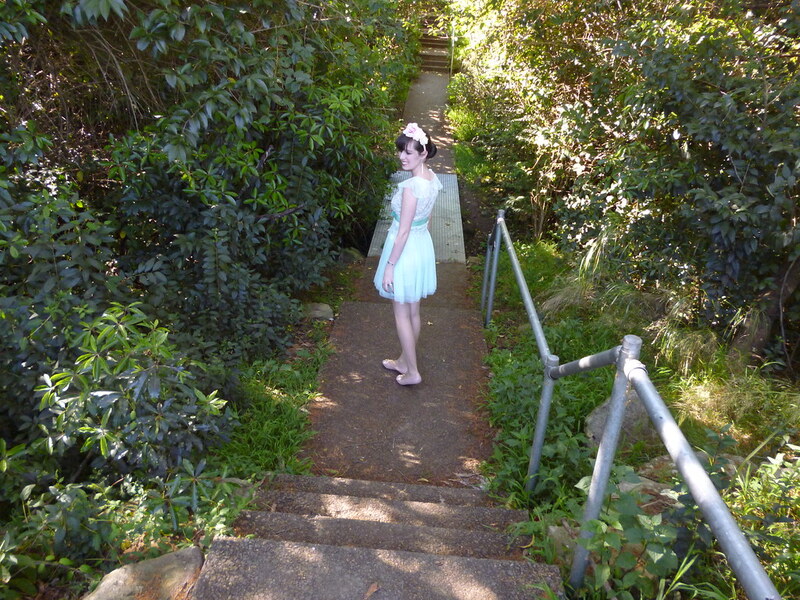 I received a number of comments on this look today with a myriad of comparisons to fairies and ballerinas. This look primarily reminds me of a fairy and, as I’m sure we all know, one is evidently never too old to dress in a fairy inspired outfit. I’ve found a number of lovely treasures on the OASAP website. I definitely recommend you check it out. Oh this is a total party frock! Just great! You wear and style all your dresses so well. This is simply gorgeous. I love that dress!! 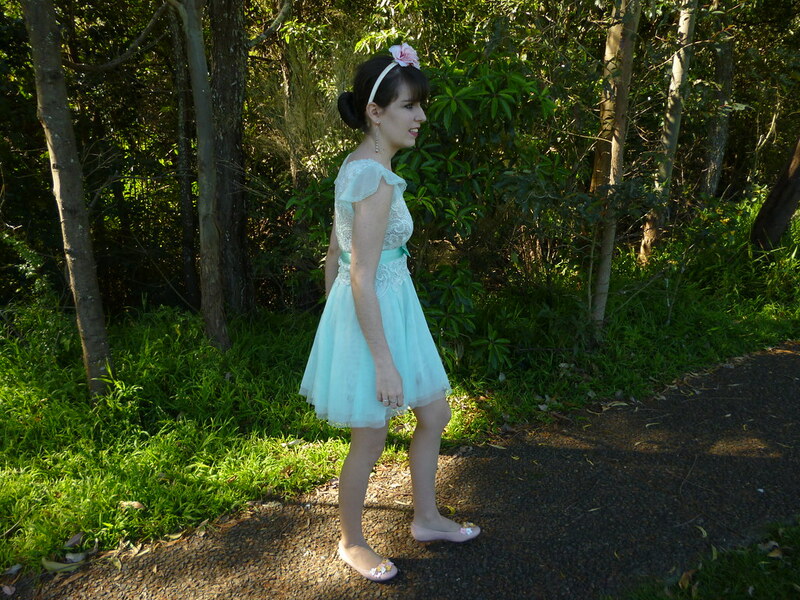 It suits you so well and has such a princess feel to it! What an amazing outfit, I love everything about it, especially the dress, what an amazing color! Also you have a lovely smile! This is very cute and young sweetie! I love it!